Mankind is grateful to GOD for bestowing senses like eyes to see, ears to hear, hands & legs to work, brain to think independently free of cost. Some children are born with mental disabilities in this world. The task to bring up such kids is very difficult but it can be made easier if responsibilities of parents are shared by others. g a baby is the happiest moment in married life provided the child is normal. The parents of mentally & physically impaired kids are always under pervasive stress, depression, sadness & agony. They need sympathy, co-operation, guidance and institutional & human assistance for rehabilitation of their wards. Mental retardation is a condition of incomplete development of mind. it is less understood or misunderstood while the other disabilities are identified at a glance. The population with mental retardation is more than 3% of the world population. The task to bring up such kids is very difficult but can be made easier if responsibilities of the parents are shared by others. They can be substantially improved by early identification, evaluation and training. It requires a lot of patience, dedication and special technique used by the trained staff. Voluntary and social organizations can play a pivot role in alleviating the suffering of distressed society. Man kind is above all the religions. 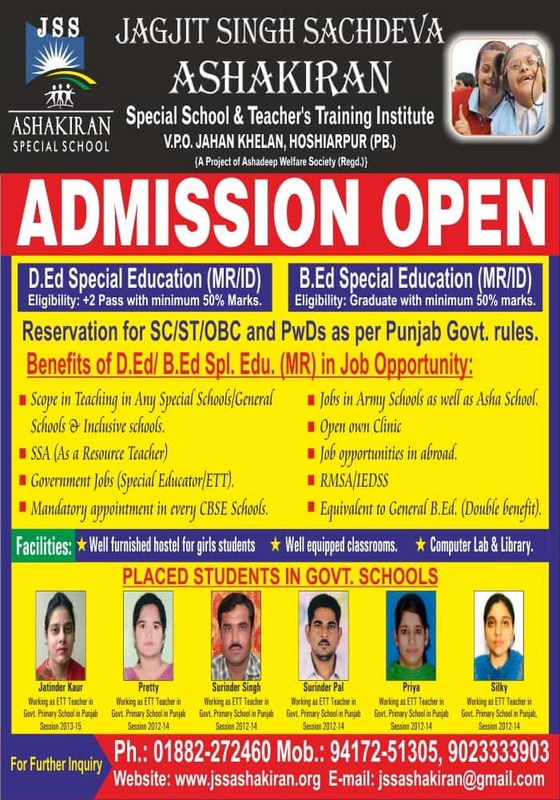 There was no such place/school in Hoshiarpur for training of mentally challenged children. 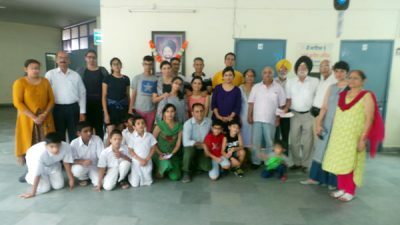 Keeping this in view a few philanthropists of Hoshiarpur formed a body under the name of ‘AshaDeep Welfare Society’ under the President ship of Sh. Teg Pal Singh in 1995. The society is registered under Society Act XXI 1860 vide no 648 dated 01-07-1995/1996. It is also registered under section 53 of PD Act 1995 vide Directorate of Social Security, Govt. of Punjab no. 19-03-1999 and with National Trust, Govt. of India vide no 1910/HR/2002 dated 11-04-2002.